This paper introduces a model for specifying synchronization constraints in distributed asynchronous multimedia systems and applications. The consistency and semantics of multimedia systems depend on the temporal behaviour of information streams, like audio and video streams, whose synchronization constraints in asynchronous environments need to be enforced. 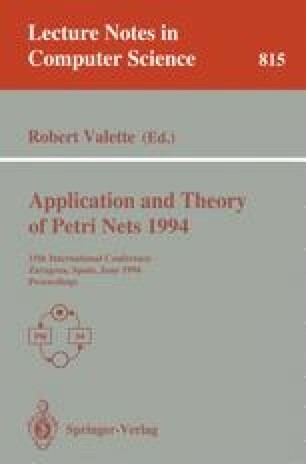 The promoted model, named Time Stream Petri Nets (TStreamPN) allows the timed behaviour of streams to be fully, accurately and formally described using an extension of time Petri nets. This model uses time intervals to label arcs that leave the places of the net. A complete set of firing rules is also proposed to accurately enforce actual synchronization policies between different and related multimedia streams. Therefore, this model allows a formal characterization and verification of time parameters in distributed asynchronous multimedia systems. This work has been developed as part of the CESAME project, a research collaboration between CNET, CCETT and CNRS, and under the grant 92 1B 178 from CNET — France Telecom.